Manchester will celebrate the centenary of Alan Turing’s birth next year. The gay computer scientist and codebreaker, who was born in 1912 and lived in the city, was persecuted for his sexual orientation and forced to undergo chemical castration. During his career, he developed early computer software and intercepted Nazi communication. He has been hailed as the father of modern computing. Scientists, computer programmers and athletes will join efforts to celebrate his life and work, the Manchester Evening News reports. Turing was also a keen runner and unsuccessfully tried out for Britain’s Olympics team in 1948. Lectures, events and award ceremonies will be held around the country in 2012, while the main event will be a three-day conference in June to discuss his contribution to science. Manchester University and the Museum of Science and Industry will hold talks, children’s events and exhibitions about him, while events will also be held in Brazil and China. The centenary celebrations have been organised by leading maths professor Barry Cooper, Manchester University professor Steve Furber and Turing’s nephew Sir John Dermot Turing. 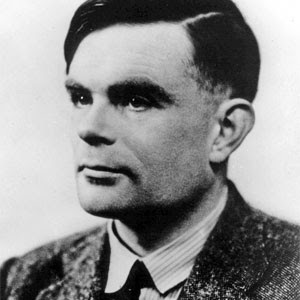 Turing received a posthumous apology from prime minister Gordon Brown in 2009. He was convicted of homosexuality offences in the 1950s and killed himself aged 41 after being punished with chemical castration and being barred from his work.